For over fifty years Red Wing shoe company have maintained the highest standard of workmanship and leather quality, none more evident than the 10877 8″ lace up. 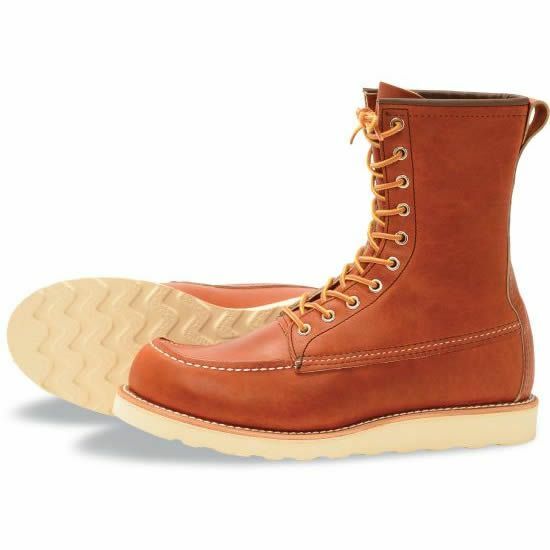 Features Red Wing’s famous all-round welted white crepe wedge sole and exclusive Original leather upper. A leather lined vamp and a leather in-sole add to this legend among Red Wing’s finest. A classic!